I love traditional Japanese design and admired these beautiful typographic signs and textures when in Tokyo and Kyoto in late 2014. There’s a beautiful simplicity and symmetry that I find incredibly inspiring. And the colors and textures can be both soothing and vibrant. Here’s a tiny peek at some of my favorite things. The black and white signs are from restaurants—the top left in Kyoto near Nijo Castle and the one center right is from Tokyo’s Ginza district. 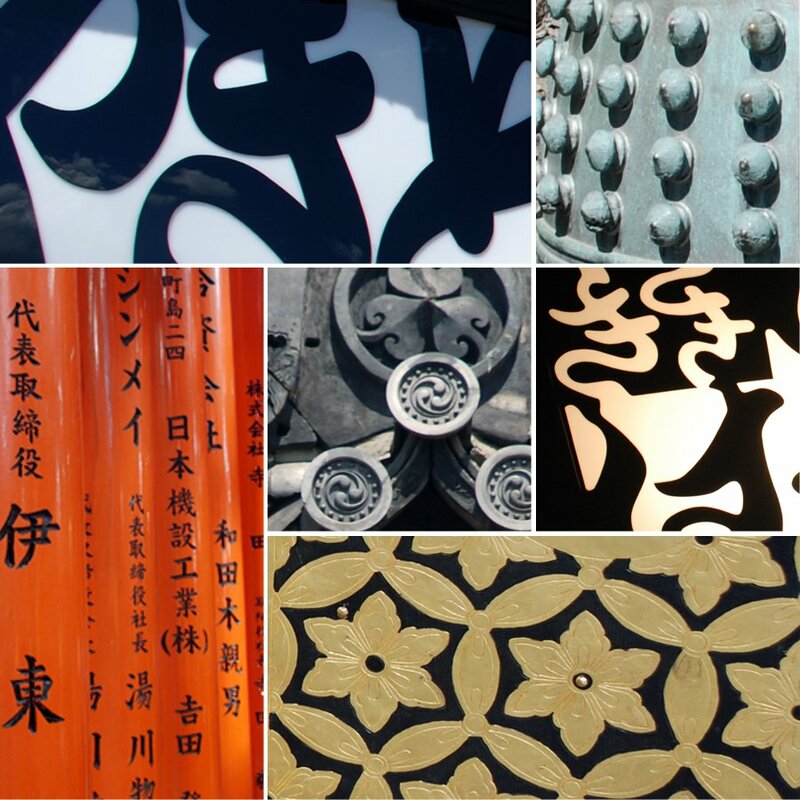 The three texture examples are from Nijo Castle. And the red orange signs are actually torii gates at the Fushimi Inari-taishi Shrine. If you enjoyed this taste of Japanese design, you might also like this post on Japanese textile design or this one on Japanese packaging.